In March 2018 a milestone was unveiled at Tardebigge, on the towpath of The Worcester & Birmingham Canal, in commemoration of the life of the Revd Alan White who passed away in 2017. 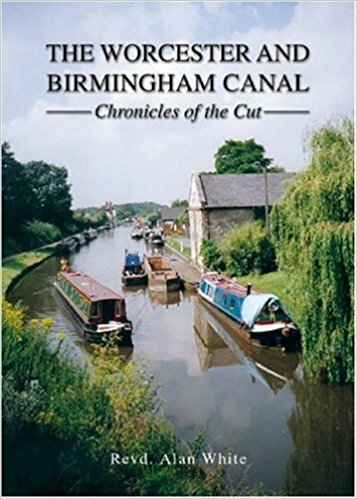 Alan had long been the historian for the The Worcester-Birmingham & Droitwich Canals Society Canals Society and had written books and publications including the very popular hardback book titled ‘The Worcester and Birmingham Canal: Chronicles of the Cut’. Alan was a prolific researcher particularly concerning the Worcester & Birmingham Canal as well as the Tardebigge area. He was, for many years, Chaplain and Head of the Mathematics Department of Bromsgrove School and had served as Priest-in-Charge of Tardebigge Parish through which the canal runs. Research for his book was taken over nearly 30 years, originally published in 2005 and republished late 2016. The milestone has been placed along the canal near bridge 56 a few yards south of Tardebigge Top Lock 58.